The Spanish giants have confirmed that they have closed an agreement in place which will see the talented defender link up with them over the summer. Real Madrid have completed the €50 million signing of Eder Militao from Porto, with the defender signing a six-year contract. As the Blancos are facing Celta this weekend, a player like him would be quite useful for Zidane’s debut, but this centre-back will be available for the Frenchman only after the current season ends. If you would like to predict the outcome of the upcoming match, feel free to use Bet9ja promotion code, although the win could go either way, as Real are definitely shaken up after all the changes that have been made. The 21-year-old Brazilian was registered on the transfer radar of those at the Santiago Bernabeu for a long time. An agreement is now in place, with the Galacticos having got their target. Militao only arrived to the European stadiums during the summer of 2018. Porto acquired him from the legendary brazilian side of Sao Paulo and handed him a five-year contract. He will have seen out less than 12 months of that agreement before moving to Madrid. Those at the Santiago Bernabeu are hoping that he proves to be a strong addition for the future. A man who made his senior international debut for Brazil in September 2018 will join a defensive unit in Spain which has been far from greatness this season. The Galacticos have endured a difficult campaign as a result, with Zidane becoming the third man to fill their managerial hot-seat. He has enjoyed great success in that role before and will be hoping to see Militao help to deliver since he’s more than welcome on the Bernabeu. For now, the South American is chasing down major trophies with Porto, with the Portuguese giants waiting to discover who they will face in the Champions League quarter-finals when the draw for the last eight is made on Friday. Even without Cristiano, Real Madrid easily completed a Supercopa de Espana triumph over Barcelona. A ruthless first-half performance ended any hope of a Barcelona comeback in the Supercopa de Espana, the Catalans falling to a 2-0 second-leg defeat to lose 5-1 on aggregate against Madrid. Marco Asensio wasted no time as he spectacularly fired the home side in front after four minutes on Wednesday, with Madrid dominating a team still adapting to life after Neymar. The headlines after the first leg were dominated by Cristiano Ronaldo’s dramatic cameo, which culminated in a five-match ban following his petulant shove on the referee, but this was a thoroughly professional job from the European champions. Barcelona improved after the interval – Lionel Messi and Luis Suarez both hit the woodwork – but their Neymar-less future remains a concerning work in progress for new boss Ernesto Valverde, as the club continue their pursuit of a suitable and – on this evidence – much-needed replacement. Those efforts may take on greater urgency after Suarez appeared to hobble through the closing stages. 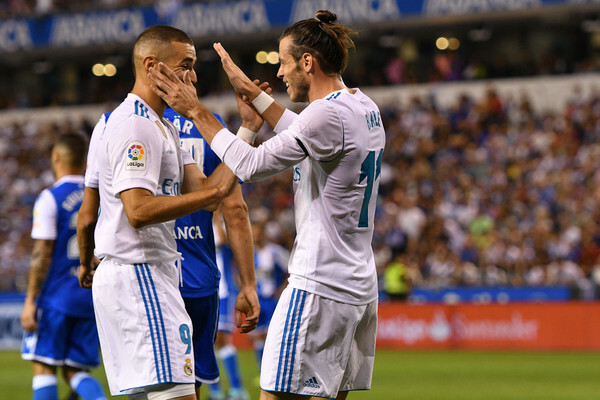 With Ronaldo suspended and Gareth Bale and Isco on the bench, Lucas Vazquez and Asensio were selected to flank Benzema in attack, and the latter picked up where he left off at the end of Sunday’s first leg. Having hammered home Madrid’s third from the edge of the box at Camp Nou, it took Asensio just four minutes to beat Marc-Andre ter Stegen from even further out in Madrid, firing in a wonderful 25-yard strike that left the German goalkeeper flat-footed. While Madrid’s tweaked attacking trident made a flying start, the missing ‘N’ in Barcelona’s ‘MSN’ forward line was glaringly obvious after 10 minutes. Valverde opted for a new-look 3-5-2 formation and Suarez perhaps forgot he was shorn of an attacking comrade when he squared for nobody in the box. Keen to match the efforts of his colleague on the opposite flank, Vazquez curled a shot against the inside of the left-hand post shortly after the half-hour mark, as Barca struggled to create chances for Suarez and Messi. Madrid netted their deserved second seven minutes from the break. Benzema’s quick-thinking exposed Umtiti’s laboured defending and the striker latched on to a Marcelo ball into the box to smash home from close range. Keylor Navas – making his 100th Madrid appearance – did not have a save to make in the first half, but he showed good reactions to get down and intercept a Suarez cutback early in the second. Barca were showing signs of life and Messi saw an effort crash off the underside of the crossbar before Suarez went close with two headers – the second bouncing off the foot of the post after Navas had parried a fierce Messi drive. But Madrid were comfortable with their four-goal aggregate advantage, and Barca’s mini-recovery proved fruitless on a night when they were outplayed by their fiercest rivals for the most part. Posted on August 9, 2017 Categories MatchesLeave a comment on UEFA Super Cup champions! 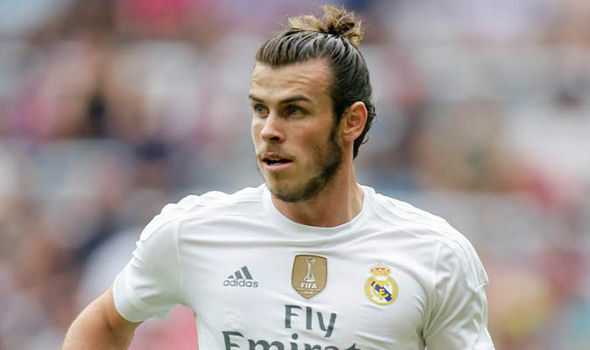 Posted on August 5, 2017 Categories NewsLeave a comment on Bale <-> De Gea swap incoming?